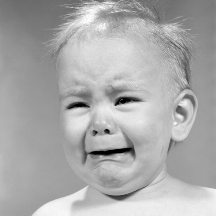 There’s an iPhone App that claims it can deciphers and interpret the crying (screaming, wailing, howling) of a baby. So mom and dad, when it’s 2:30am and you’re wondering what your baby needs, just take out your iPhone and shortly you’ll know exactly what to do! However, don’t be so quick to buy the new Cry Translator iPhone App because it’s received terrible ratings in iTunes. Out of 31 ratings, 16 have been only 1 star (which is the lowest), and only 6 received the coveted 4 star rating. “There is a tremendous amount of research supporting that babies who are responded to consistently and appropriately will cry less and develop stronger social and cognitive skills,” Pedro Barrera and Luis Meca, the application’s creators, said in a statement. 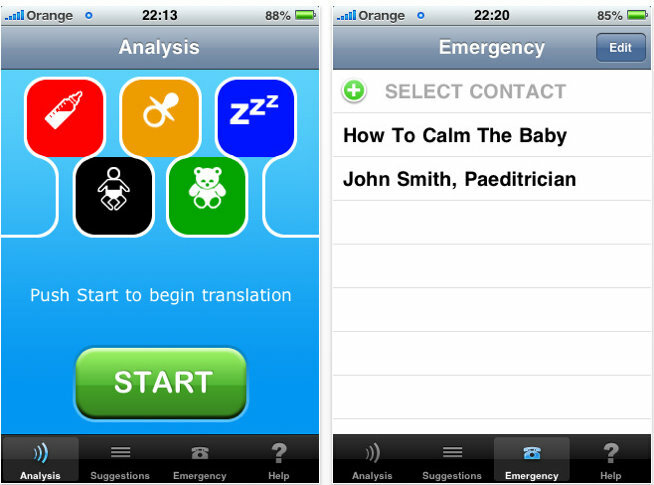 Within 10 seconds, the app translates the sound and identifies the emotion, and then gives parents a set of tips to calm the child. The company says its technology is 96 percent accurate and works for any child, regardless of culture or language. That app is available on iTunes for $29.99. Check it out on iTunes by clicking here (opens iTunes). Most of lowest reviews has been made with the 1.0 release. According to the reviews of release 1.1, it seems to be much better. Out of 15 ratings, there are 7 with FIVE! stars, 2 with FOUR stars, one with THREE stars and 5 with ONE star(*). I think they have done quite an improvement!!. The developer says most of ONE star reviews are caused by improper way of using the app. As an example: talkingto the baby while picking up the crying sound, background noise (radio, TV, traffic) or even blocking the microphone with the palm of the hand.